Verizon has told customers in the Philadelphia that they must change their email settings by June 9 from incoming.verizon.net and outgoing.verizon.net to pop.verizon.net and smtp.verizon.net respectively. It should be a pretty easy thing but if one has one of the newer Mac OS’s one might be finding himself going a little nuts as the pop setting might be grayed out in the accounts preferences. 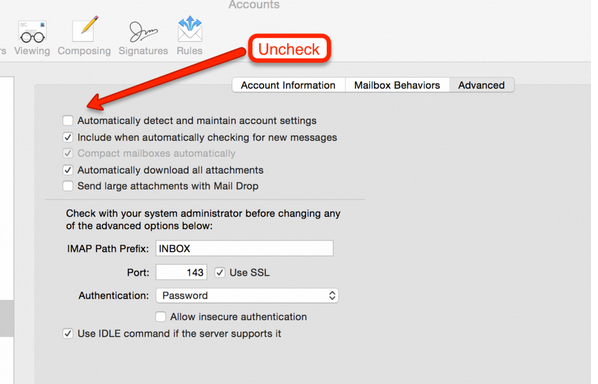 Select the account you want to change, uncheck ‘Automatically detect and maintain account settings’, save — you will be prompted when you close the account preferences box, then return to the account and edit the Incoming Mail Server. We all known about the greatest communication organisation Verizon and the email service they provide in USA to make working more user friendly.